KITTY PILGRIM: In Iraq today, bombs rocked Baghdad and Kirkuk, killing more than two dozen people. Now, the attacks highlighting the difficulties faced by U.S. and Iraqi forces in their efforts to curb the violence. Michael Ware joins me with more from Baghdad. Michael, even with the bombings today, though, Baghdad has been fairly quiet since the troop increase, correct? 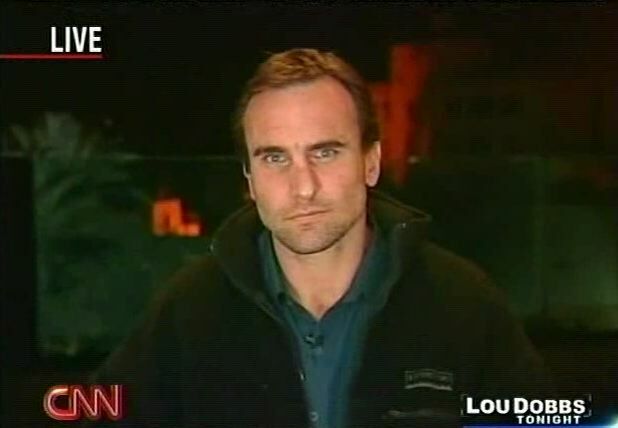 MICHAEL WARE, CNN CORRESPONDENT: Well, not entirely. It's seen the battle in the capital Baghdad change and mutate, as we have done many times before in many places around this country during this war. What U.S. commanders are saying is that there has been an ebb in sectarian violence, albeit there was a spike just last week. They're still urging caution. Now, one of the primary reasons why there's less sectarian killings is because U.S. troops are actually living and staying with many of the Iraqi forces who make up the death squads. So, the death squads and their facilitators are basically being baby-sat by American troops and kept in their barracks or their positions at night. So, we're also seeing a displacement. We're seeing leaders and fighters from the militias and the insurgents moving outside of the capital. They're either lying back, waiting to see how the Americans react, or they have taken the fight elsewhere, like Diyala Province, just north of the capital, where violence has spiked so much, commander General Petraeus has had to send an extra battalion of Strykers just to shore up the defenses -- Kitty. PILGRIM: I think, the American public, really, the big question in their mind is, how much of this recent violence is directed towards the U.S. troops? How much of it is sectarian? WARE: Well, yeah, it is possible to know. I mean, what we're seeing is, on the latest figures that have been given to Congress, which, you know, are now a few weeks old, is that American troops are still being attacked -- or coalition troops are still being attacked, on average, about 148 times a day. That's more than 2.5 times the rate they were being attacked every day two years ago. At the same time, you're having death squads hauling people off and just executing them. So, there's many different types of violence here. Indeed, Kitty, there's four wars here in Iraq: the war against al Qaeda, the war against the Sunni insurgents --in which America is capitulating and cutting deals feverishly with the Baathists -- the civil war, and the ongoing conflict/competition/rivalry between America and Iran for influence here in Iraq. Indeed, the central government here is much closer to Tehran than it is to Washington. So, there's many battlefronts yet to be played out -- Kitty. PILGRIM: Thanks very much, Michael Ware.